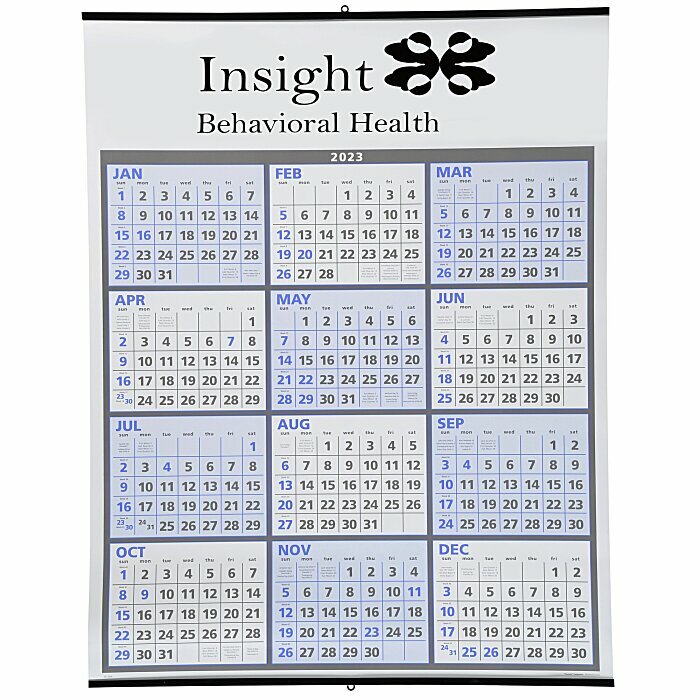 Span a broad promotional range with this imprinted calendar! Imprinted calendars with all 12 months on one page! Use these 12-month calendars to plan months in advanced. Each month highlights important dates, holidays and more. Two-colored calendars alternate between a lavender and white background. Your price includes a one color imprint on the top above the calendar.